The centre-forward from Bristol started his career locally with Victoria Albion before being given an opportunity to make the step up with Bristol City. He did this with aplomb, scoring 12 goals in 27 appearances across two years. Making the move to Home Park, he carried on in the same vein in a brief spell in green, though he found the form of the prolific Percy Cherrett and Jack Fowler an obstacle to a regular berth. His four goals from just six games included a hat-trick against Bournemouth and Boscombe Athletic in March 1924. With a desire to be a first choice rather than support striker, he moved to Aberdare Athletic in an exchange with Walter Price the following season, having toured Argentina with the Pilgrims that summer, and amassed an impressive 44 goals from 66 games over two years for the Welsh side. Moving to Fulham in 1924, he scored a further 9 from 34 before moving out of the League with Guildford City. 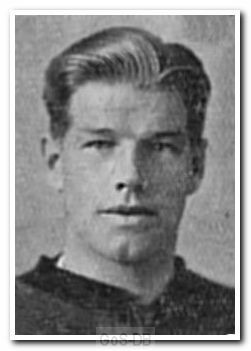 Records show he returned to the Football League with Rochdale in 1928, although no appearances are recorded, and his last League action was six games for Wrexham in 1929.